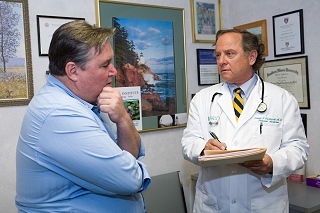 All patients of our Center receive an initial medical evaluation by Dr. Nuchovich personally. He reviews records and "X-rays", provides a diagnosis, and then discusses management and treatment options with you. Dr. Nuchovich then evaluates and explains whether you need conventional medical treatment, alternative medical therapy, or a integration of both (integrated medicine). 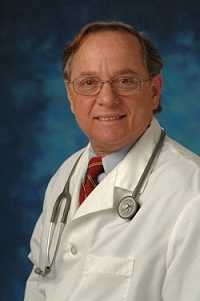 Daniel Nuchovich, MD, founder and Medical Director of Jupiter Institute of the Healing Arts, is a graduate of Southern Illinois University School of Medicine in Springfield, IL and has practiced Internal Medicine in Florida since 1989. He is a respected staff member at both Jupiter Hospital and Palm Beach Gardens Medical Center. Preventive Medicine, Infectious Diseases and Public Health training at the Palm Beach County Health Department. Rather than correct painful conditions with temporaty-relief drugs, Dr. Nuchovich will help you discover the real root of what is causing the pain. Different levels of pain have different causes and require different approaches. Whether through radiologic, metabolic, endocrinologic, or neurological search and testing, Dr. Nuchovich will help you find and treat the cause of your pain. Treatment of pain may require medical treatments, alternative therapies or a combination of both conventional and complementary therapies (integrative medicine), and this will be explained to you by Dr. Nuchovich.